*Exclusive supplier for France & Monaco! 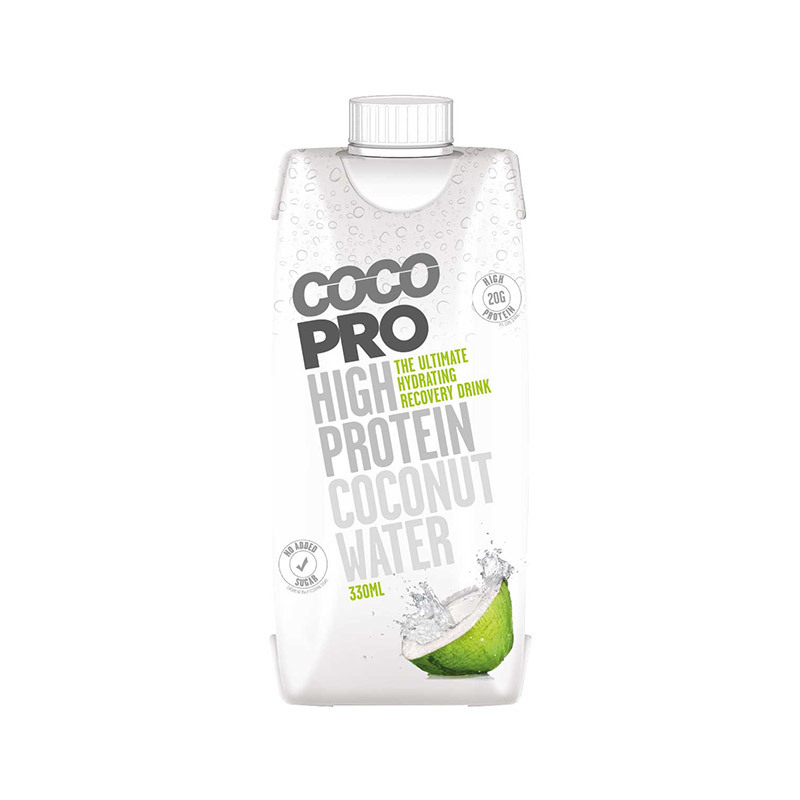 CocoPro is the world’s first high protein pure coconut water. The combination of pure coconut water and the gold standard of protein provides the ultimate fuel for your body when it needs it most. CocoPro also provides your daily need of vitamin C and contains no added sugar. Sweetened with natural ingredients. Available in two delicious and refreshing flavours, coconut flavour and pineapple flavour. 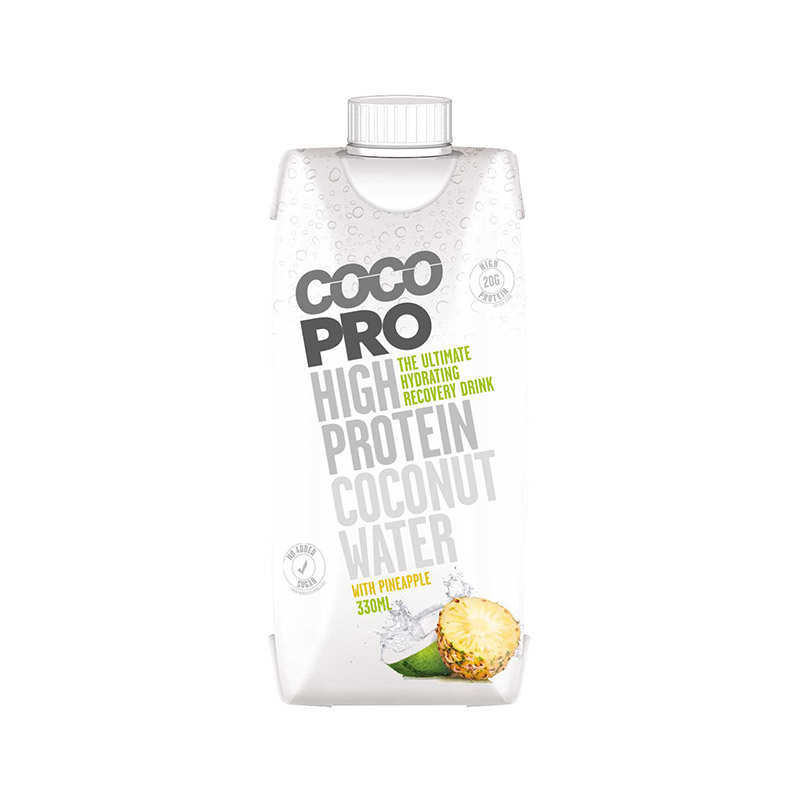 CocoPro is a drink that provides both optimal hydration and recovery all in one. The combination of Pure Coconut Water and Whey Protein Isolate was the perfect combination to achieve this objective. CocoPro contains all the electrolytes, minerals and protein you need to keep your body and mind performing optimally. This is why we can confidently call it the ultimate hydrating recovery drink. Consume CocoPro immediately after exercise for superior recovery or drink as a health drink alternative. Pure Coconut Water, Water, Whey Protein Isolate, Grape Juice from Concentrate, Dietary Fibre, Natural Flavourings, Stabiliser: Pectin, Antioxidant: Vitamin C, Sweetener: Stevia.